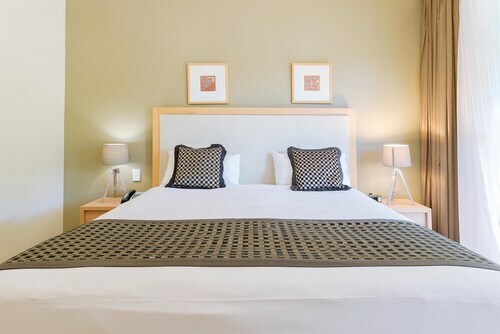 Situated in Boulder, this hotel is within a 5-minute walk of Boulder Pharmacy Museum, Goldfields War Museum, and Loopline Railway Museum. Super Pit and Digger Daws Oval are also within 15 minutes. Situated in Boulder, this apartment building is close to Loopline Railway Museum, Boulder Pharmacy Museum, and Goldfields War Museum. Also nearby are Super Pit and Digger Daws Oval. 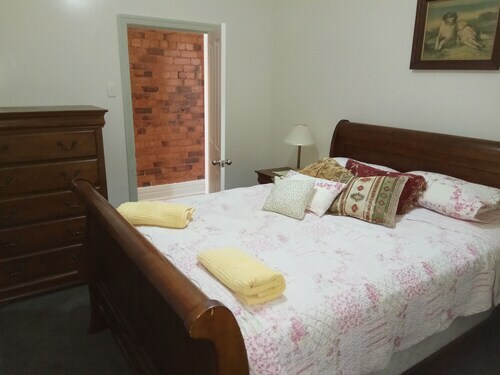 Situated in Boulder, this vacation home is close to Boulder Pharmacy Museum, Loopline Railway Museum, and Goldfields War Museum. Also nearby are Super Pit and Digger Daws Oval. 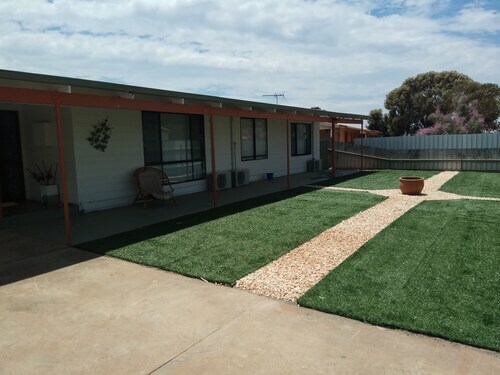 Situated in Boulder, this vacation home is close to Digger Daws Oval, Goldfields War Museum, and Boulder Pharmacy Museum. Also nearby are Loopline Railway Museum and Super Pit. Heading to Boulder? You've struck gold. There's a pretty good range of available hotels close by. 15 of those are less than 5 kilometres from the city centre. You won't be far from the main streets at the Rydges Kalgoorlie and The View on Hannans Kalgoorlie. If you've always had a desire to know more about mines and mining, make your way to Super Pit when tours are held. Book a stay at Albion Shamrock Hotel Motel and Discovery Parks – Boulder, and you'll be quite close to this attraction. Digger Daws Oval is wonderful for taking a walk or just simply relaxing. 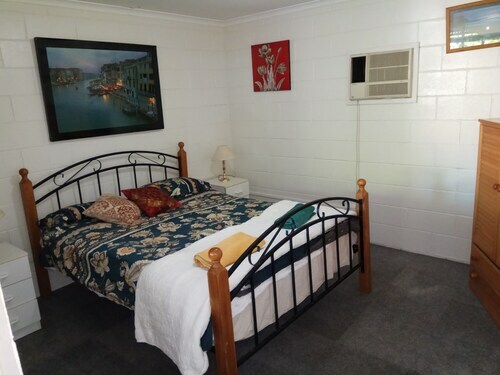 This site's nearest hotel options include Best Western Hospitality Inn Kalgoorlie and Kalgoorlie Overland Motel. If you find yourself searching for more options in Boulder, consider the Quality Inn Railway and the Comfort Inn Midas. They are located 4 kilometres and 4 kilometres away from the city's main streets. 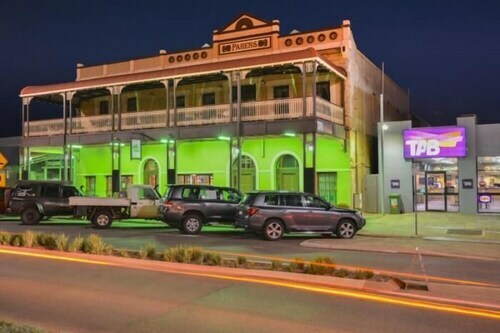 Wotif also suggests the Tower Hotel Kalgoorlie and the Palace Hotel Kalgoorlie. The first is 5 kilometres away from the center, while the other is 4 kilometres away. Kalgoorlie Boulder Airport is the most practical airport, and is located 3 kilometres from central Boulder. 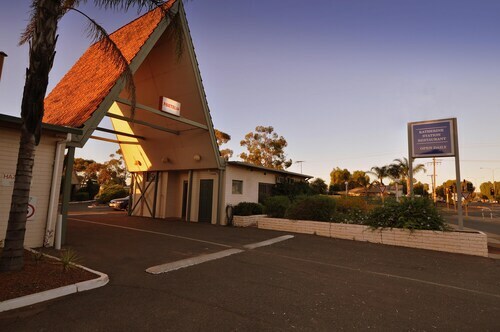 Hotels close to Kalgoorlie Boulder Airport are the Discovery Parks – Kalgoorlie and the Acclaim Prospector Holiday Park. Hotels in Boulder start at AU$86 per night. Prices and availability subject to change. Additional terms may apply.